Penelitian - Final preparations were underway Friday for the launch of a joint mission by ESA and JAXA to send twin probes to Mercury, the closest planet to the sun. An Ariane 5 rocket is scheduled to lift the uncrewed spacecraft into orbit from French Guiana, the start of a seven-year journey to the solar system's innermost planet. Newly developed electrical ion thrusters will help nudge the spacecraft, which was named after Italian scientist Giuseppe "Bepi" Colombo, into the right orbit. 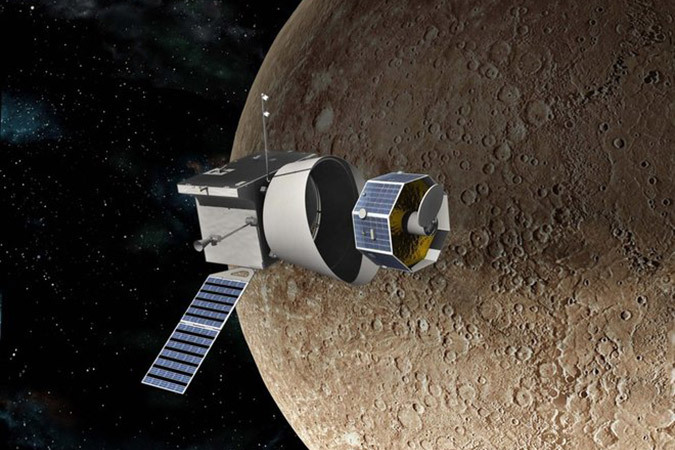 When it arrives, BepiColombo will release two probes - Bepi and Mio - that will independently investigate the surface and magnetic field of Mercury.